Reasons for Deadbeat Tenants On the Rise? Home · Property Management · Latest News : Deadbeat Tenants On the Rise? Deadbeat Tenants On the Rise? Q: For the past 20 years I have been buying and managing rental homes and I have to say that these days tenants are worse than I have ever experienced. Not all tenants are bad, but lately I have seen a noticeable increase in tenants who do not pay their rent and then leave in the middle of the night after causing a lot of damage to the house. At one rental, I recently had to spend almost $6,000 to fix up the house for re-renting.I certainly understand the economy is bad in our area and many parts of the country, but my management company is unable to collect any money after the tenant moves out. The manager simply gives the case to a collection agency, and I never collect any money from the agency. It has been a repeated problem. Can you please suggest what I should do? Can you suggest a reputable collection agency?A: You are not alone, as many landlords are finding that tenants who stay and pay, and treat the rental property with respect, are far and few between. It is clearly a function of the economy, and once you see signs that a tenant is having trouble paying rent you may want to have some open and direct conversations with him or her about how quickly you can regain possession of the rental rather than taking legal action and dragging out the eviction process.As you unfortunately found out, the amount of damage that can be done in a rental home makes the nonpayment of rent seem like a minor issue. 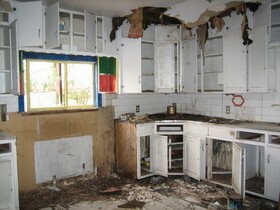 Your first priority should be simply to get your property back in decent condition and start over with a new tenant. It is easier said than done, but the best way to avoid these problems is to very carefully screen and select your tenants when they apply. Qualified tenants with a stable rental history and good, reliable income are in high demand and can actually find landlords competing for them. I have even seen some tenants who have a resume or reference list that they bring with them that demonstrates to the landlord that they are qualified. In these situations, you may find that you need to be flexible with your rental rates or upgrade your rental homes so they are more desirable than other comparable properties in your area. As for the collection of delinquent tenant balances, I cannot recommend a specific company but I can tell you what you should do. Contact your local apartment association or Institute of Real Estate Management (IREM) chapter and ask them for names of companies in your area. Then contact those companies, and then ask for and contact their references. While the pricing of collection services will vary, they are often quoted on a percentage of the collected amount. For example, a firm that charges 50 percent would deduct half of the collected amounts as their compensation prior to remitting the balance to you. You also need to make sure that you understand whether the out-of-pocket costs are included in the percentage quoted or are extra amounts that are deducted or billed to you.You are not looking for the company with the lowest percentage but the company that has the highest overall net return, and the only way you can determine that is to contact their satisfied customers to see their actual results. Also, be sure to contact rental housing customers only, as the collection account success rate for other businesses may not be indicative of what they can do for you. The other key recommendation is that delinquent account balances become much harder to collect over time so the sooner you get the paperwork into the hands of your collection agent the better the results. Another tip is to be sure to file a small claims suit and get a judgment for the money owed, which can be collected in the future as long as the tenant doesn’t file bankruptcy and get your judgment set aside or discharged. This can be your best strategy because while your former tenant may be down on his luck today, I have had tenants call out of the blue asking to pay everything they owe because they are trying to borrow money for a major purchase and need to get the judgment removed from their credit report. This may be five to 10 years from now, but most people bounce back from financial problems and they will need to pay you in full in order to get a loan to buy a car or a house. While you would prefer your money today, there is still some satisfaction, and the cash will come in handy regardless of when you ultimately collect. See our feature, Will Evicted Tenants Ever Pay?